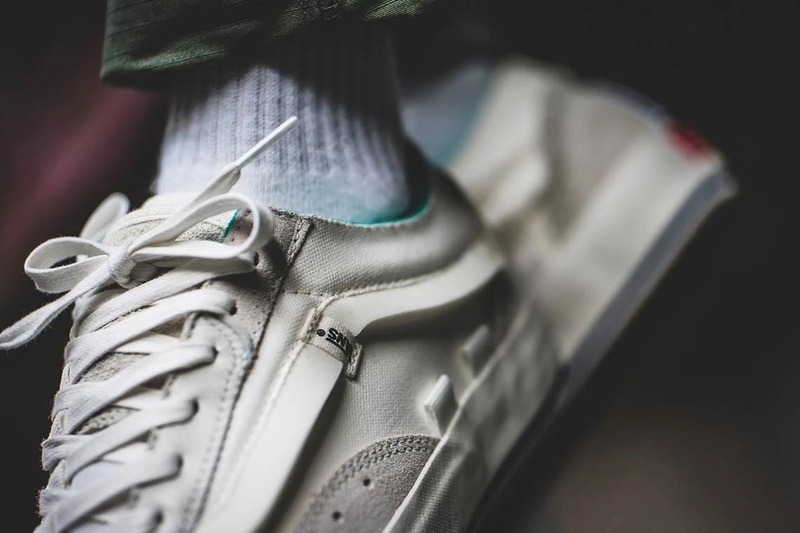 After a successful year of releases, iconic skate and lifestyle brand Vans has returned to its latest focus on deconstructed iterations of famous silhouettes. This time, it has returned to the renowned Old Skool model in order to give it a unique, broken down twist. Part of the ongoing “Cap LX” pack, which has already incorporated an array of the aforementioned models and siblings, the Sk8-Hi, the updated Old Skool “Cap LX” rendition sees a more visually pleasing and coherent design. Arriving in a tonal combination of “marshmallow” cream white, white and tan, the suede and canvas shoe’s accented hits are relatively minor. 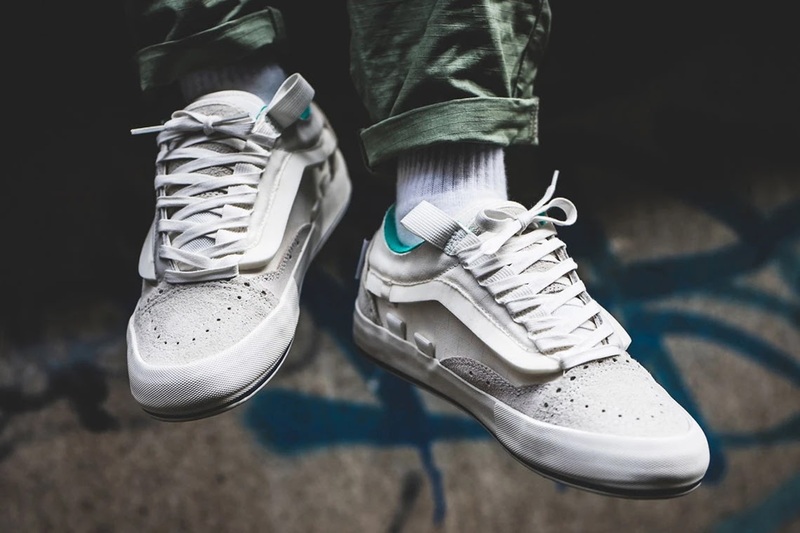 Teal marks the exposed foam color, with a blue stripe on the midsole, finishing the colored hits with an upside down Vans branding tab on the heel. On the medial side is a faintly-visible cream and white checkerboard print. The traditional jazz stripe utilizes a foam-like material that remains slightly protruded, held in place by a Vans-branded patch. An elastic strap also covers the top of the shoe allowing for easy in-and-out access, with more loopholes placed into the midsole on the medial side. Rounding out the sneaker is a white “Please Tear Here” patch on the heel. 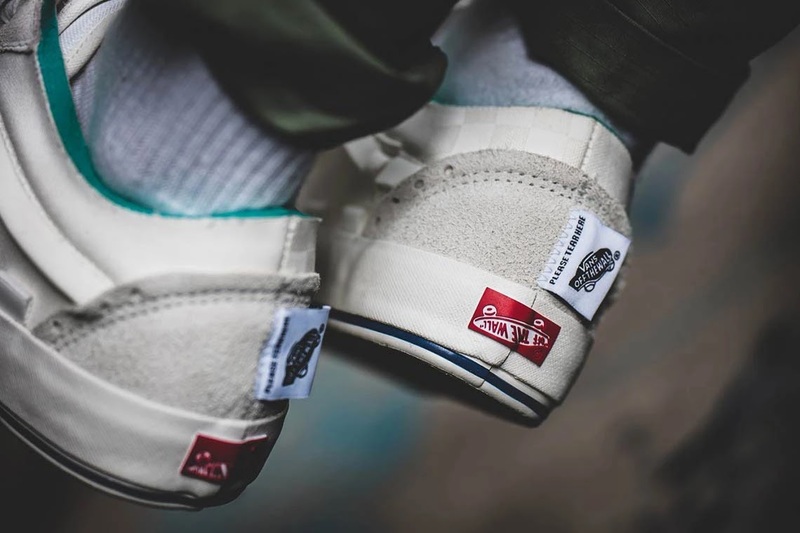 Take a look at the images above, and be on the lookout as the new sneaker will be releasing on March 1st at varying Vans stockists for a retail price of $100 USD.